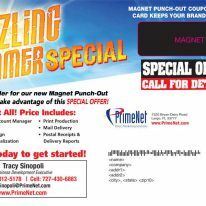 Our Magnet Punch-Out Postcard is a Hot Item to Produce Returns! 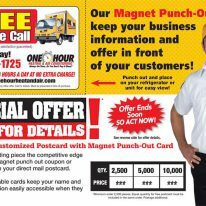 Magnet Punch-Out Postcards are here! 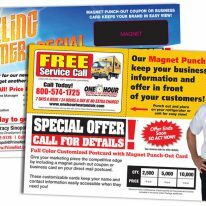 Give your marketing piece the competitive edge by including a magnet punch-out coupon or business card on your direct mail postcard. 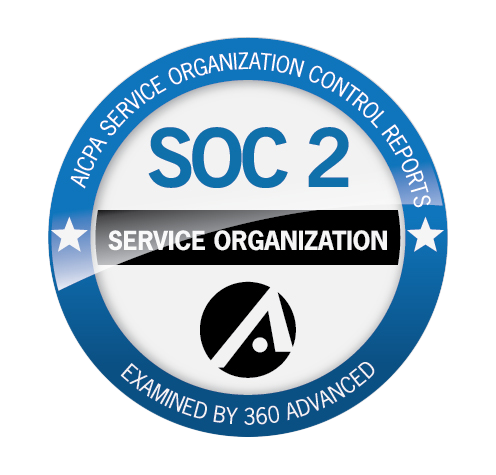 Call 1-800-826-2869 today for more details..
Not looking for a punch-out? Other magnet postcards can be found here.